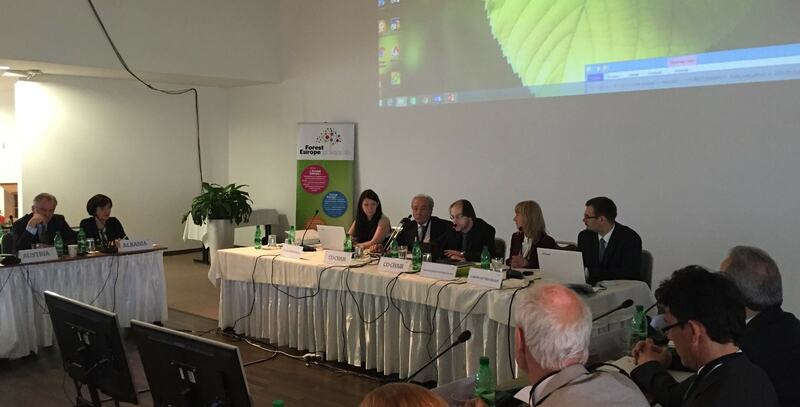 Over eighty experts from 31 countries, the European Commission and 14 international observer organizations met on 11-12 May 2016, in Bratislava, Slovakia at the FOREST EUROPE Expert Level Meeting. The aim of the meeting was to discuss and adopt a new Work Program for the years 2016—2020, which is a main implementation framework for the political commitments made by the European ministers responsible for forests in October 2015 in Madrid. It was the first Expert Level Meeting organized by the Liaison Unit Bratislava (LUB) after the Slovak Republic took over the chairmanship of FOREST EUROPE from Spain. Ms. Gabriela Matečná, Minister of Agriculture and Rural Development of the Slovak Republic, opened the meeting on behalf of the Slovak government and underlined the importance of forests both for the bioeconomy and for social functions. Key thematic areas outlined in the new FOREST EUROPE Work Program include the development of policy tools for Sustainable Forest Management (SFM); further fostering forest monitoring and reporting; enhancing the role of SFM in a green economy through, among others, incorporating the value of forest ecosystem services; protection of European forests in changing environmental conditions and their adaptation to climate change; and enhancing the social dimension of SFM for human health and well-being. I addition, the review of the effectiveness and work modalities of FOREST EUROPE as well as deliberations on the future of a Legally-Binding Agreement on Forests in Europe constitute core actions to be undertaken in the years to come. Piotr Borkowski, EUSTAFOR’s Executive Director, took part in the meeting and supported the development of this new work program. He especially supported those elements of the plan, which correspond with the new EUSTAFOR’s Strategy, adopted by the General Assembly on 5 April 2016. The facilities of the European Forestry House in Brussels were offered as a possible venue for the organization of relevant events to be organized within the framework of this work program. Expert Level Meetings have a decision-making power for the FOREST EUROPE process between Ministerial Conferences The mandate of the Expert Level Meetings is to make decisions on the implementation of the commitments made at the ministerial conferences, and to prepare policy agendas for upcoming ministerial conferences. FOREST EUROPE is a unique high-level forest policy process for dialogue and cooperation in pan-Europe. The mission of FOREST EUROPE is to enhance the cooperation on forest policies in Europe under the leadership of ministers and to secure and promote sustainable forest management with the aim of maintaining the multiple functions of forests crucial to society.